Valentine’s Day seems to put uncomfortable pressure on everyone rather than celebrate love. It’s an internationally recognized holiday, but why? It’s not even a bank holiday. The first issue with Valentine’s Day is the feeling of exclusion and loneliness that it can perpetuate for single people. There is a lot of societal pressure to find a date for events. Freshman music education major Natalie Karrick understands what this pressure looks like. “People apologize when you don’t have a valentine,” said Karrick. In effect, people use this day as a safety net to tell their love interest how they really feel. People are more likely to say yes when being asked out on Feb. 14 just so they can have a valentine. This can hurt feelings later when the relationship doesn’t actually work. If the love interest says no, then the person who asked the question can brush it off as getting caught up in the celebration of Valentine’s Day. This holiday is an excuse for people to act out and hide their true feelings without consequences. If you like someone, you should tell them regardless of what day it is. Along with the pressure to find a date is the pressure to please your date. There are some serious stereotypes that go along with this holiday. We expect guys to get girls very nice and expensive gifts, while girls are not often expected to reciprocate. Every person participating should communicate with their partner about a budget. If you want to exceed beyond the materialistic side of Valentine’s Day, one thing to consider would be investing in an experience together. Concert tickets, a road trip, and zip lining are all experiences that couples can do together to celebrate their relationship. This takes the pressure off of finding the perfect surprise for the perfect price. Another aspect of Valentine’s Day to consider is the LGBT+ community. Valentine’s Day is undeniably a commercialized holiday, and it targets and caters to heteronormative society. There is obviously nothing wrong with being straight, but there is something wrong with being inconsiderate of people who aren’t. All of the heteronormative ads and commercials on TV can really make someone who also celebrates the holiday feel alienated. However, freshman music therapy major Emily Wittman feels that it’s more of a judgment-free day. Although Valentine’s Day can provide good times and fond memories, I believe that it is important to be aware of the workings of society so that we can make changes accordingly in the future. 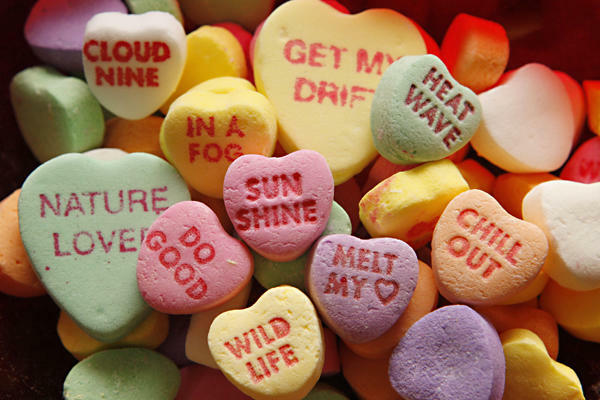 Valentine’s Day, among other commercialized holidays, is something to reconsider. What message does Valentine’s Day give when there is one single day a year that we celebrate our love for each other? Shouldn’t we be loving and appreciative all the time?